Help, My Cat's Afraid of the Vet! Jen, it's important for all of us with feline friends to understand just how terrifying a general veterinarian's office can be for them. With their heightened senses of hearing and smell, they can perceive all manner of things - even other animals' illnesses and, sadly, even their deaths. Add to that a bunch of strange humans, barking dogs, blaring TVs in waiting rooms, etc. and it can be a genuine nightmare for a cat. You've already approached this from the perspective of trying to associate good things with the vet trip. That's always the best place to start, but as you know, it doesn't always work. The vet's office is just too scary for a handful of treats to overcome. The same goes for pheromone sprays and other nerve-calming solutions. They're like an umbrella in a hurricane. While they do work, we generally advise against the use of sedatives unless it's a last resort. You just never know how a cat's body will react to a particular sedative if they've never had it administered before. If the cat has a heart murmur or similar condition, sedatives can create more problems than they solve. Jen, Our best advice for Tigger is not the easiest, but we feel it's the best choice for him if you can manage it. We suggest you find another veterinarian. Not that there's anything inherently wrong with the one you have, but there are now vets who cater specifically to cats. Even if they treat other species, many vets have created quiet exam rooms specifically for nervous animals. If one is available in your area, a vet who makes house calls is even better. Cats derive more comfort from their home territory than they do from treats, other friendly cats, or even us humans. Treating a cat like Tigger on his home turf could be just the thing he needs. We wish you and Tigger all the best! Michele, it sounds like you're really trying hard to make things work. 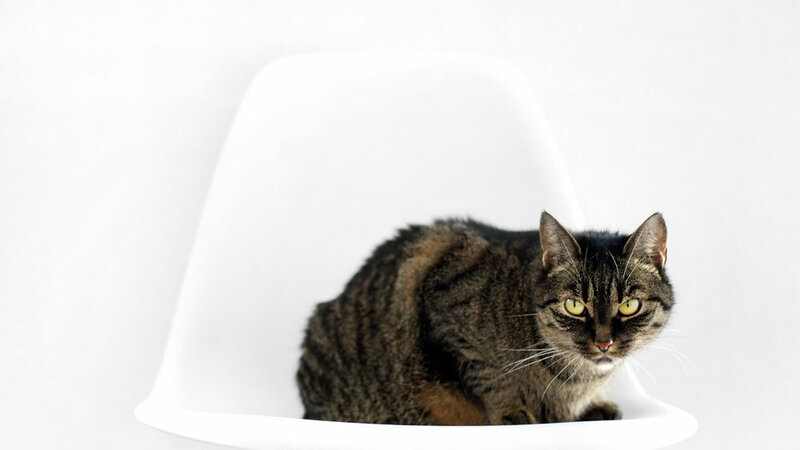 Hopefully, we can help you get out of your current routine so you can spend more time enjoying your feline friends and less time managing them. Since you're currently separating them, the best way to start the process of integrating your household is to treat them as new introductions. Yes, some bad feelings have already developed between them but the process of bringing in a newcomer can be effective in an instance such as yours. See our post on new introductions here: http://kittyhelpdesk.com/help-desk/introducing-a-new-cat . Resources are key as you begin the integration process. Cats will time-share limited resources and they feel most comfortable when there's plenty to go around. Make sure each has a feeding station that's not viewable from the others' stations. Make sure you have one more litter box than you have cats, so you'd need five boxes placed in different locations for four felines. Also make sure there is plenty of vertical space for the cats to share. They need to be able to get away from one another when need be. We answered one reader's question about bullying behavior, but it goes into great depth about the interactions between cats. You may find it helpful, especially the part about different cat personalities and the valiance levels of different cats. You can find that post here: http://kittyhelpdesk.com/help-desk/cat-bully . Michele, with some planning and perseverance, you can at least get your cats to tolerate one another. Don't expect them to become best friends overnight. There will certainly be setbacks and all hisses aren't bad. They're just a way a cat communicates that his or her perceived boundaries have been crossed. With plenty of resources, there should certainly be less hissiness, but it will take time. You also have to calm yourself in those situations and not inflate them with too much emotional intensity. At a certain point, the cats need to be allowed to work it out for themselves. We wish you and your kitty friends all the best! Cindy, it's fairly common for cat caregivers to think that their feline friends might need a bath. This is especially true when the cat, like Sassifrass, has long hair. But we recommend that cats not be bathed at all. First off, cats do a very good job of cleaning themselves. Even long haired cats can handle the task with great aplomb. The only time a cat should need a bath is if they've gotten into something terrible that we don't want them licking off or if they are very old and no longer have the flexibility to reach every spot on their bodies. In the course of a normal day to day life, a cat like Sassi should be fully capable of bathing herself. The second concern is for the health of Sassifrass. If her coat is in much need of maintenance, the problem may not be one of cleaning but rather one of nutrition. The better the nourishment a cat receives, the healthier, shinier, and cleaner her coat will be without intervention from us humans. Cats need high-protein, low-carb diets like the ones we outline in THIS POST. We recommend you feed the best food you can afford. 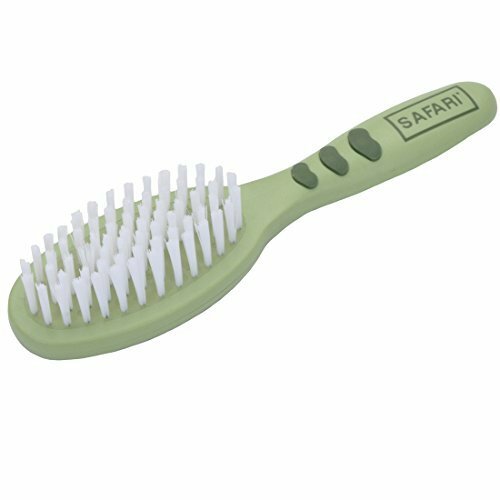 One thing you can do to see immediate results is to brush and "furminate" Sassi every day. We even do this to our short haired cats and we've seen a great increase in the luster of their coats. 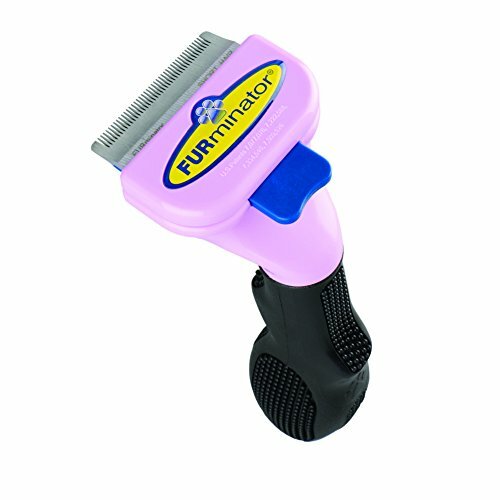 Begin with a short brushing session with a soft brush, followed by a few minutes with a furminator-style cutting brush. This "brush" has hard metal teeth, so you have to be very gentle with it so as not to hurt Sassifrass. If she dislikes the grooming, make the initial sessions very short and begin and end each session with her favorite treat. Slowly lengthen the sessions until you're able to get her fully groomed in one or two. Don't worry about her belly, though, as contact there is usually a trigger for prey behavior and she won't appreciate it. Lastly, we'd be remiss if we didn't mention the harm that bathing Sassi could do to your relationship with her. Cats don't look at us as their masters. They see us as equals and we should give them the same latitude to make their own choices when we can. Grooming behaviors are a complex part of the feline world and cats like feeling self-sufficient when it comes to these sorts of chores. They use these times to mingle our scents with their own in order to create a communal scent that means "home" to them. Using a smelly product that washes all that away can be very stressful to a cat. In fact, we know of one instance where a cat was bathed and her siblings hissed and growled at her because they didn't recognize her without the communal scent. It's VERY important that Sassi be allowed to tend to her own bathing needs. I'm sure that you can tame the floof without any shampoos or conditioners. Sassifrass will certainly appreciate it! We wish both of you all the best! Should I bring My Cat to College? Christine and Mazy, every situation is different, as is every cat, but generally speaking, we're against temporarily transplanting a cat unless it's absolutely necessary. We can hear Mazy whining already, so allow us to outline our reasoning. Cats are very territory-centric. They are more comforted by their own territory with their own scents than they are even by those of us who feed, pamper and adore them. Relocating a cat isn't a trivial change for them. In fact, it can be quite distressing. It can take a cat a very long time to adjust to such a move. That's a big deal because it will happen again and again at each and every break from school. We see no need to put a cat through all of that stress if you don't have to. Cats also prefer being on a regular schedule. What happens when Mazy goes on a rafting trip one weekend, and a football trip the next and back home the next. What about when you audition for a big play or end up in the computer lab every night before a big project is due? Who will care for Specks during those times, and will he be well cared for? No offense, Mazy, but college students aren't always the most reliable people. They have a lot on their minds. A cat needs to be a priority, not an afterthought. There are also some unique dangers associated with campus life. We won't be too graphic, but where there are drunken frat boys, there are potential dangers to everyone! Specks may not have as much fun being there for you as you think he will. One thing you should definitely do is to leave things with your scent on them at home whenever you visit. A pair of sweatpants or an old t-shirt left in one of Specks' prime sleeping spots will comfort him in your absence. Yes, he'll miss you when you're gone, but he'll still be happier at home. And he'll thoroughly enjoy your visits, even if he sometimes pretends not to. That's just how cats are. They don't like change, but Specks will always be your special friend. Mazy, going off to college is about growing up, and a big part of growing up is learning to put others needs before your own sometimes. Think about what's best for Specks and we think you'll conclude, as we have, that he'll be better off at home with your mom. We wish you all the best in your college career!